It is clear in retrospect that the rise of the self-proclaimed “Islamic State” (ISIS), Al Qaeda, Al Nusra, and other extremist fronts in Syria were a result of this US policy. It is also clear that there are many other extremist groups the US has knowingly whitewashed politically and is covertly supporting in terrorism aimed directly at Iran itself.It is just a matter of time before the same denials and cover-ups used to depict Syrian and Libyan terrorists as “freedom fighting rebels” are reused in regards to US-backed violence aimed at Iran. 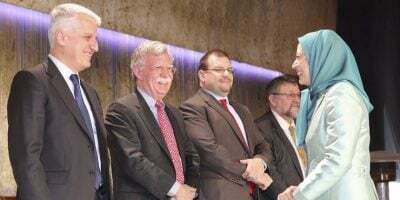 Hopefully, it will not take nearly as long for the rest of the world to see through this game and condemn groups like MEK as the terrorists they always have been, and continue to be today.Also in retrospect, it is clear how US-engineered conflict and regime change has impacted the Middle Eastern region and the world as a whole – one can only imagine the further impact a successful repeat of this violence will have if visited upon Iran directly.